To provide optimal care, medical students should understand that the social determinants of health (SDH) impact their patients’ well-being. Those charged with teaching SDH to future physicians, however, face a paucity of curricular guidance. This review’s objective is to map key characteristics from publications about teaching SDH to students in undergraduate medical education (UME). In 2016, the authors searched PubMed, Embase, Web of Science, the Cochrane and ERIC databases, bibliographies, and MedEdPORTAL for articles published between January 2010 and November 2016. Four reviewers screened articles for eligibility then extracted and analyzed data descriptively. Scoping review methodology was used to map key concepts and curricular logistics as well as educator and student characteristics. The authors screened 3571 unique articles of which 22 were included in the final review. Many articles focused on community engagement (15). Experiential learning was a common instructional strategy (17) and typically took the form of community or clinic-based learning. Nearly half (10) of the manuscripts described school-wide curricula, of which only three spanned a full year. The majority of assessment was self-reported (20) and often related to affective change. Few studies objectively assessed learner outcomes (2). The abundance of initial articles screened highlights the growing interest in SDH in medical education. The small number of selected articles with sufficient detail for abstraction demonstrates limited SDH curricular dissemination. A lack of accepted tools or practices that limit development of robust learner or program evaluation was noted. 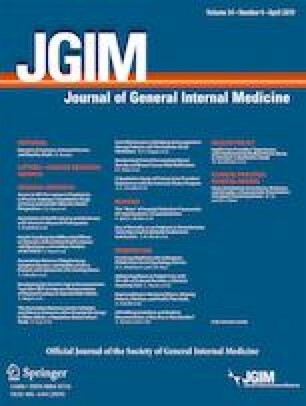 Future research should focus on identifying and evaluating effective instructional and assessment methodologies to address this gap, exploring additional innovative teaching frameworks, and examining the specific contexts and characteristics of marginalized and underserved populations and their coverage in medical education. The online version of this article ( https://doi.org/10.1007/s11606-019-04876-0) contains supplementary material, which is available to authorized users. This project is supported by the Health Resources and Services Administration (HRSA) of the US Department of Health and Human Services (HHS) under grant number UH1HP29963, Academic Units for Primary Care Training and Enhancement. This information or content and conclusions are those of the author and should not be construed as the official position or policy of nor should any endorsements be inferred by HRSA, HHS, or the US Government. Liaison Committee on Medical Education. Functions and structure of a medical school. standards for accreditation of medical education programs leading to the M.D. degree (2010). http://lcme.org/publications/#Standards. Accessed November 28, 2018. Sherbino J, Bonnycastle D, Côte B, Flynn L. The CanMEDS 2015 Health Advocate Expert Working Group Report. http://www.royalcollege.ca/rcsite/documents/canmeds/health-advocate-ewg-report-e.pdf. 2014. Accessed November 28, 2018. Westerhaus M, Finnegan A, Goldsmith J, Lyon E, Fox C, Morse M. Social justice should be a key part of educating health professionals. statnews.com. https://www.statnews.com/2017/04/07/social-justice-health-education/. Published 2017. Accessed November 28, 2018. Chokshi DA. Teaching about health disparities using a social determinants framework. J GEN INTERN MED. 2010;25 Suppl 2(S2):S182-S185. doi: https://doi.org/10.1007/s11606-009-1230-3. World Health Organization. Commission on the social determinants of health. http://www.who.int/social_determinants/en/. Accessed November 28, 2018. Borges NJ, of PHIJ, 2007. Service learning in medical education: Project description and evaluation. https://digitalcommons.unomaha.edu/slceslgen/50/. Accessed November 28, 2018. Sheehan K. AAMC Curriculum inventory in context. Social determinants of health in US and Canadian medical schools. https://www.aamc.org/download/479480/data/ciic04-4apr2017.pdf. Published April 2017. Accessed November 28, 2018. AAMC. Teaching hospitals’ commitment to addressing the social determinants of health. https://www.aamc.org/download/480618/data/aamc-teaching-hospitals-addressing-sdoh.pdf. Accessed November 28, 2018. AOAMC, Liaison Committee on Medical Education. Functions and structure of a medical school. 2003. https://members.aamc.org/eweb/upload/Functions%20and%20Structure%20of%20a%20Medical%20School.pdf. Accessed November 28, 2018.